Our village range wines are made of various vineyards located within the same village. Sometimes, some of those vineyards can be located in some very good single vineyard, but for various reasons (age of the vines, ripeness, location), we decide to declassify some of them. 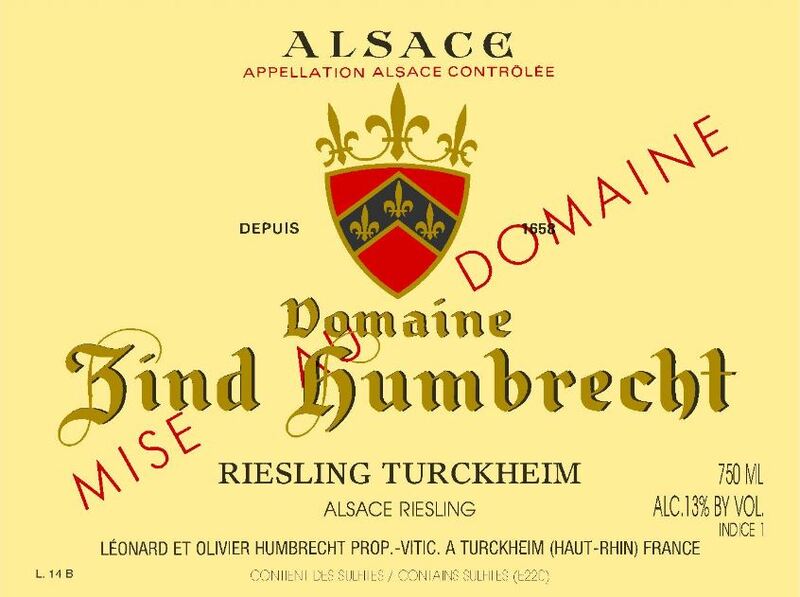 The Riesling Turckheim is made from vineyards planted between 1978 and 1990 in the Brand vineyard (80%) and a younger vineyard planted in 2001, located just below the Clos Jebsal in Turckheim on a richer marl/gravely soil. The 2007 crop was unbelievably healthy despite a relatively high ripeness for Riesling. An early harvest and very dry weather also help to create perfect conditions for a continuous and steady fermentation, capable to transform all the sugars of the grapes. 12/2008: for me this is perhaps the most typical Riesling in our range. Still slightly closed at first approach, but some air will reveal beautiful fruity Riesling aromas. The mouth is classic: dry, crisp acidity and long mineral after taste, with a good volume. Like all previous vintages of this wine, the high quality of the vineyards used to make this wine show on the length. Classic sea food wine!